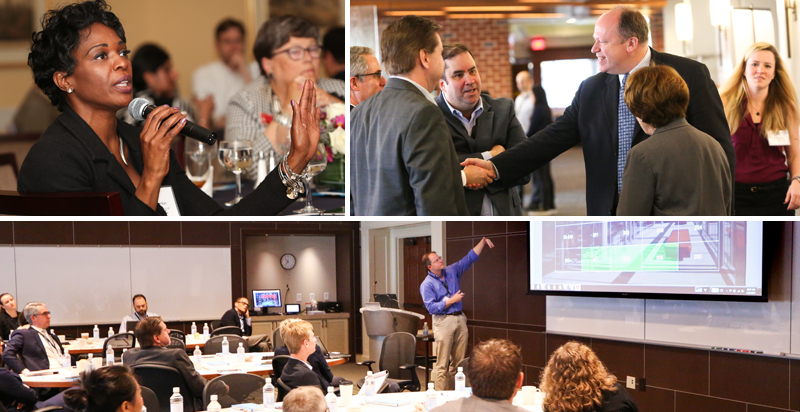 The Kenan Institute Director’s Council serves as a forum for the exchange of ideas among corporate executives, academic researchers and leading policymakers committed to leveraging private enterprise for the public good. Through a variety of conferences, symposia, expert speakers and closed-door roundtable discussions, the institute connects Director’s Council members and institutions to generate a deep understanding of the most important opportunities and challenges facing the global economy. These events foster dialogue on actionable, research-based ideas to influence policy and improve the lives of people around the world. In addition to these events, Director’s Council members are invited to join Kenan Institute staff and research fellows in the field to see how our work is improving communities in North Carolina and beyond. Director’s Council participation supports the institute’s core initiatives in entrepreneurship, dynamic economies and global commerce by funding programs, research and graduate student fellows. Former Chief Operating Officer, 2U, Inc.
Chief Administrative Officer, AvalonBay Communities, Inc.
President and CEO, Johnson Management LLC and Johnson Development Associates Inc.
Executive Vice President, Cousins Properties Inc. Co-founder and Chairman, Saf-T-Net Inc.
Chairman, President & CEO, Insteel Industries Inc.
Director's Council members are invited to join all Kenan Institute events. If you are interested in becoming a member of our Director's Council, contact Director of Business Development and Finance David Knowles at David_Knowles@kenan-flagler.unc.edu.